Introduction This is a mini-guide to help people get the reputation that is required, to fly in legion maps, the easy way. 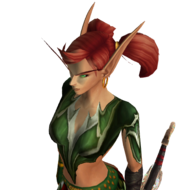 Original Factions You are required to reach "revered" with: Court of Farondis Highmountain Tribe The Nightfallen The Dreamweavers The Valarjar The Wardens In order to get the reputation. You have to farm world quests. Though, we all get lazy since there are many quests and the terrain in legion is horrible. First of all you need to discover the maps which is part of the pathfinder requirement and in doing so, discover the flight path points, too. That will allow you to reach the world quests easier. You need to do the emissary quests whenever they become available to you. In order to do them, you need to complete 4 world quests in the map they are on. Those emissary quests give you 4500 reputation with the faction on the map. That is where you will get most of the reputation required. The second thing you need to do is check the maps for any blue bubbles (quests). Make those your top priority since most of them give you 750 reputation (as opposed to the red normal quests which give you 225 only). You do not even have to do the normal quests (if you are lazy). Just keep doing the emissaries and blue bubbled quests. New Faction You will also need the Armies of Legionfall reputation for the pathfinder 2 achievement which is also required for flying. Do the emissaries for the legionfall rep always. Also, there are a lot of hidden quests on the legion map if you want to farm the reputation. A lot of the quests in the Broken Shore map (legionfall reputation) give you Legionfall War Supplies. You can use the supplies at the Deliverance Point (south of the Broken Shore map) on the construction table to participate in the construction of three things. Just place any amount in any of those three options. Each 100 supplies grant you an Artifact Power item plus around 450 reputation. You can get revered with the legionfall really fast doing so. Also, if you have a friend who already has flying plus a flying mount, you can ask him to tag along when he is doing the quests. This will go faster. So, you have decided to start legion and finally reached level 110. Though, you are new to legion and have no idea what to do. This guide is for you. First of all, you should begin by moving to Dalaran (new Dalaran). After that, find the golem NPC that will give you the artifact weapons. It is right next to Jeanne the NPC that gives you loyalty points each day (in front of the horde bank). When you talk to the NPC select all options, to take all weapons. 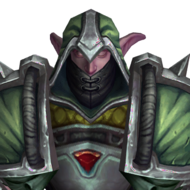 Keep in mind that this is a temporary NPC, that will be removed as soon as they script the quests for the artifact weapons. There are a lot of changes in legion that you need to know about. Though, let us start with the most important aspects of legion, which are your artifact weapon(s) and class hall. A. Know Your Artifact Weapon This is a new legion concept. They give you a weapon that you will level in a way to unlock its maximum potential. For each of your specs, there is a specific weapon. Look at the specs on the weapons, you took from golem, by scrolling over them. Equip the one with the spec you chose. Keep in mind that if you keep all weapons in your bags and switch to another spec, the artifact weapon, for the other spec, gets equipped automatically. So, its a good practice to keep all the weapons in your bags. There are four main things you need to know about your artifact weapon(s). The weapons have Artifact Knowledge, Artifact Power, Artifact Traits, and lastly Artifact Relics. You use Artifact Power items to charge (or level) your weapon(s). You will notice a new bar above your action bars like a new experience bar when you equip your artifact weapon. When you use an Artifact Power item to charge your weapon, that bar shows the increase in Artifact Power. When you reach the end of that bar, you level and unlock one trait. After you unlock a trait, it tells you that you have unlocked a trait on your screen. Open your character menu (gear menu) then shift right-click the artifact weapon. You will notice circles on your artifact weapon screen to the middle. Those are the traits. You should see one to two circles, if you just used your first Artifact Power (also referred to as AP). If you click the first circle you will use your AP that you gained by charging the weapon with the talent. The talent will consume the charged AP. I will not go in detail on AP since I am going to write a guide later (when I can) about Artifact Talents for every class. Now, let us talk about the Artifact Knowledge. The Artifact Knowledge or AK, is a modifier that allows you to increase the AP you can get from the same AP item. You get 100 AP on start. The more AK levels you add, the more AP you will receive. You can reach a maximum of 25 AK which will allow you to get 100k AP per AP item instead of just 100. Though, that will take some time. More on this later. Keep in mind that the Artifact Knowledge is shared between all your weapons while the Artifact Power is not. You will be able to see your current AK level by shift right-clicking your weapon then hovering over the small circle within the larger circle to the top left. The Artifact Relics are actually items that you can acquire and equip into your weapon. Shift right-click your weapon and you will notice three circles to the top, one of them is unlocked. Those are your relics. Those relic items add bonuses to your artifact weapon. You should have some in your bags if you have leveled your char 100-110. You can equip the relics by dragging them then dropping them on their associated slot. Each slot supports a relic type like Fire Relics, Iron Relics, Storm Relics, and so on. B. Know Your Class Hall Legion introduced a new place for classes. For each class in the game (druid, paladin, etc.) there is a spot that is called the class hall. In order to find your class hall location, just check this guide or expand the spoiler for an image (just in case they remove the guide). http://www.wowhead.com/unlocking-and-directions-to-each-order-hall-guide Now move to your class hall. I want you to explore your class hall. Talk to all NPC and click all objects. You will find five main things that are important to you. Let me list them: The Gear NPC, this NPC will allow you to buy some ilevel 810 gear for your char. There are items that you cannot purchase, though. Those are the ones that require the exalted rep. The Artifact Research NPC, will allow you to create items that will upgrade your artifact weapon's Artifact Knowledge. The same NPC will offer you three options. The first option is the quest. Take this quest. This quest will allow you to get the "Artifact Research Synopsis" item that will allow you to upgrade your weapon to AK level 15 skipping 15 levels. After using the item, you will notice two more options. One option will allow you to do a research using "Order Resources" which is a currency new to legion. More on this currency later. You will need 500 Order Resources per artifact research item. You can do two researches instead of one but you will need 1000 Order Resources. Keep in mind that each research takes 4 days. Yes, yes, it is a lengthy journey to AK level 25. Though, you should be thankful you are starting at level 15 unlike the rest of us who started at the very beginning. The third option allows you to purchase items that you can send to your alts on the same account to upgrade their AK level. Though, the item you buy is reduced by 5. So, at AK level 15 you can buy AK 10 items. At 20, you will buy AK15 items. At 25, you will buy 20 items. I suggest you level one char AK then buy the 20 AK items to upgrade your alts. Each of those items are 1000 Order Resources each. If you must play more than one char at the same time, do the Synopsis quest on all the chars starting them at AK level 15. After 4 days, you will notice a pile object next to this NPC. Click it to receive the Artifact Research item. Then use it. The Missions Board Object, after browsing your class hall you will find many quests. Some of those quests give you followers. When you get all the followers in your class hall, move to the board and click it. You will be able to do multiple tasks like missions. You can also do "Scout" to discover quests on maps that you did not discover before. You will also be able to do the mission required for Order Advancement unlocking. The Order Advancement NPC, after unlocking the mission for order advancement, one of the NPCs will now allow you to do Order Advancement. It is a menu with tiers of two options. This Order Advancement option will allow you to eventually unlock a second legendary slot which is very important for your char. More on legendaries later. The Class Hall Chest Object, you cannot miss this one. It is a large chest available on your class hall. Though, you will not be using this at the moment. You will need it later. This chest is unlocked on a weekly basis. In legion there is a new dungeon mode which is called Mythic+. Those are Mythic dungeons with a time limit. Later, when you got gear, you can do those. If you do one Mythic+ (also called MM+) the weekly chest gets unlocked and you are able to receive one item per week from that chest. You will be able to open the chest between Tuesday to Wednesday, depending on your time. That is it for your class hall. C. Do The Real Work Ok, so how do I upgrade my gear now that I am legion savvy? There are many options. Let me list them for you. Do World Quests. After reaching level 110, go to Dalaran. Then, press M and zoom out. You will notice bubbles on the broken isle maps. Those bubbles are the world quests. Each world quest gives you an item or currency. One quest can give you a gear item, another can give you an AP item to charge your weapon. One quest can give you Order Resources (which is needed for Artifact Research and Order Advancement as mentioned earlier), while another can give you Blood of Sargeras which is an item that you can use for professions or exchange for Order Resources items using the blood vendor near the Blacksmithing place in Dalaran. You need to do those quests every day. To farm gear, AP, and resources. You will notice that all gear quests will give you an item that is 810+, for example. The + part means that it can give you an 810 item or 820, maybe more. Also, keep in mind that the higher your ilevel is, the higher the gear you will be able to acquire. In other words, it scales with your ilevel. For example, at ilevel 840 you will get 840+ items for example. Your main objective as a fresh char, is to reach ilevel 840. Keep in mind that the pink or purple bubbles are world bosses and you need a group for them. Those world bosses quests give you a chance to receive 860 items if you are lucky. Do Emissary Quests. If you open the maps for the world quests you will notice three bubbles to the bottom left that are marked emissary quests. You get one emissary quest per 1-2 days. If you do not do the quest, it gets transferred to the next day until you reach the max of 3 emissary quests. Some world quests will give you credit for those emissary quests. Just click the bubble for the emissary quest of choice and it will give you a yellow glow under the bubbles of world quests that you should do (if you do not want to do them all). You need 4 yellow glowing bubbles for each of the emissary quests. After you do all 4 quests you will see a ? quest delivery icon on your map. Follow it and deliver the quest, to receive an AP item plus a box that contains gear and some other items. Do Legion Random Dungeon Finder Normal Mode. You will be able to learn the tactics in a safe environment this way. Also, you might get some items from those dungeons. Keep in mind that there are jerks in those dungeons that might vote kick you because you are low. Get used to it. Farm Gold. If you want to save time getting gear, you should farm gold. If you are a smart follow who is AH savvy. You should get some professions and start selling stuff. Why? It is because you can buy 840 gear items for your char from AH / people. Those items will cost you 6-10k each, though. There are even higher ilevel items but you cannot afford those at the moment. Do Mythic Mode Normal. After reaching ilevel 840. Go ahead and join Mythic Normal dungeon groups. Those dungeons are great if you want to gear yourself or alts since they drop ilevel840+ gear items (based on your luck). You can even sell those on AH since some of them are BoE. Keep in mind that those dungeons will give you a key called Mythic Keystone that you can use to do a specific MM+. D. Legendary? What Is That? After joining world chat you will see people talking about legendaries over and over. Those are ilevel 910 items that you can get randomly doing all sorts of stuff. They are very very rare so be patient and do not give up on them. So, what do I do to get a legendary you ask? Do Battlegrounds. This is the highest chance for getting legendaries. You get them from the boxes you get when you win (I am told). People reported getting lots of legendaries doing BGs. Do Arenas. You can do arenas for a chance, too. Do Dungeons. So, you do not like to PvP and want to stick to PvE? No problem. You will have a lower chance at getting legendaries from PvE but you will eventually get them. You have a good shot at getting them by doing Mythics normal and plus (in the future). You can even get one from the Class Hall chest when you start doing MM+ Do Emissary Quests. Yes, the boxes from those quests have a chance, too Keep in mind that you can only equip one legendary on start. Though, after finishing your Order Advancement and spending around 25k of Order Resources plus waiting a month for the cooldowns, you will be able to equip another one. If you want to progress your Order Advancement fast, start by farming the Blood of Sargeras quests. You can even do them on your alts and buy the Order Resources items from the blood vendor in Dalaran, as mentioned, then mail those OR item to your main (since its BoA=Bound on Account). This guide is a work in progress and I have not finished it, yet. Though, this should be enough to get your started. [Guide] How to interact with NPC without clicking on it? Well,i would suggest to include link to short step-by-step launcher,game install guide and Faq at download page.Personally i was have problems because i installed/set launcher in Pandashan folder and not contrariwise.A lot of people have problems with launcher,game installation,u can see,whole forum is full with,so i think some tutorial should be make at DL page. This is a guide for people beginning to play moonkins and have no idea where to start. I found several guides on several websites. Though, they are not that simple and clear. I will try to keep this guide as simple as possible. Talents You should pick 2,1,3,2,2,1. I will not discuss why I picked those over the others. Glyphs Sadly, none of the glyphs offer much to PvE. Though you may pick the following: Major: Glyph of Guided Stars. Your Starfall only hits targets affected by Moonfire or Sunfire. Only use this when people start blaming you for pulling bosses. If you know how to stay clear of bosses when you Starfall, do not use it at all. I used it for leveling, mostly. Glyph of Stampede. Allows you to use your Stampede Roar in any form. Glyph of Rebirth. Rebirth your target player at 100% HP. Minor Glyph of Grace. Probably the only somehow useful PvE glyph. It reduces falling damage even when you are not in cat form. Glyph of the Stag. Allows you to carry a friend on your back. Glyph of the Chameleon. Random hair color in Cat and Bear forms when you enable them. Stats As a moonkin, you want to focus on getting intellect Leather gear. Try getting everything Leather so you get the bonus intellect. Note that for us spirit=hit. This means if your item has 400 spirit on it, it gives you 400 hit. So, if you have two items one with spirit and another with hit, go for the spirit item. As for stats you must focus on the following. Hit(=Spirit) Cap: 5100 -> Haste Cap: 5273 -> Crit This means you need to get hit capped at 5100 then go for 5273 haste then go crit all the way. You can see your stats on your character view (press C) just click the arrow to the bottom right. You can reach the above stats reforging, enchanting, and gemming without any issue at ilvl489 JP gear. At a higher ilvl gear when you can reach 10289 haste (reforging, enchanting, and gemming), you can go for it, for maximum dps. Reforge Mastery first, always. Enchants Head: None Neck: None Shoulders: Greater Crane Wing Inscription (=200 Intellect and 100 Critical Strike) or Secret Crane Wing Inscription (if you have Inscription) which is better Back: Superior Intellect (=180 Intellect) or Lightweave Embroidery (if you have Tailoring) which is better. Chest: Glorious Stats (=80 All Stats) Wrists: Super Intellect (=180 Intellect) or Fur Lining - Intellect (if you have Leatherworking) which is better Gloves: Greater Haste (=170 Haste) or Synapse Springs (if you have Engineering) which is better. Waist: Living Steel Belt Buckle (=Extra Gem Socket) Legs(Hit Cap): Greater Cerulean Spellthread (=285 Intellect and 165 Critical Strike) or Master's Spellthread (if you have tailoring) which is the same but you can make this with vendor items. Legs(Not Hit Cap): Greater Pearlescent Spellthread (=285 Intellect and 165 Spirit) or Sanctified Spellthread which is the same but you can make this with vendor items. Boots: Greater Haste (=175 Haste) Rings: Greater Intellect(=160 Intellect) for Enchanters only Weapon: Jade Spirit (or Windsong if you are low on money or using a low ilvl weapon) Offhand: Major Intellect (=165 Intellect) Gems You should always pick gems that make you hit then haste capped trying to match the socket if possible. Meta(Head Gem): Burning Primal Diamond (=216 Intellect and 3% Increased Critical Effect). Blue: Haste capped? Misty Wild Jade (=160 Spirit and 160 Critical Strike) Not Haste capped? Energized Wild Jade (=160 Haste and 160 Spirit) Red: Have Jewelcrafting? Brilliant Serpent's Eye (=320 Intellect) Hit and Haste capped? Potent Vermilion Onyx (=80 Intellect and 160 Critical Strike) Hit capped not haste capped? Reckless Vermilion Onyx (=80 Intellect and 160 Haste) Haste capped not hit capped? Purified Imperial Amethyst (=80 Intellect and 160 Spirit) Yellow: Hit and haste capped? Smooth Sun's Radiance (=320 Critical Strike) Hit capped not haste capped? Quick Sun's Radiance (=320 Haste) Haste capped not hit capped? Misty Wild Jade (=160 Spirit and 160 Critical Strike) Not hit capped / not haste capped? Energized Wild Jade (=160 Haste and 160 Spirit) Prismatic (Belt Buckles / Blacksmithing sockets): Have Jewelcrafting? Brilliant Serpent's Eye (=320 Intellect) Haste capped? Smooth Sun's Radiance (=320 Critical Strike) Not Haste capped? Quick Sun's Radiance (=320 Haste) Consumables Flask: Flask of the Warm Sun (=1000 Intellect for 1 hour) or Crystal of Insanity (if you cannot afford buying flasks which is a non-consumable item that increases some of your stats by 500) which drops from a world elite. Potion: Potion of the Jade Serpent (=4000 Intellect for 25 seconds). Food: Mogu Fish Stew (=300 Intellect for 1 hour). Professions You should pick professions based on what you need the most. 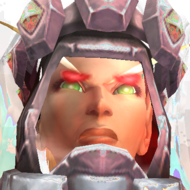 I will list the professions and their bonuses: Tailoring: Lightweave Embroidery (back enchant) grants 2000 Intellect for 15 seconds with 20% proc chance on damage and has 50 seconds cooldown. Also, like mentioned you get cheap leg enchants for your items. Enchanting: Enchant Ring - Greater Intellect grants 160 Intellect per ring. Engineering: Synapse Springs (gloves enchant) grants 1920 Intellect for 10 seconds with 1 minute cooldown. Blacksmithing: Extra gem sockets on wrists and gloves. Jewelcrafting: You get to use two epic Brilliant Serpent's Eye gems which give you extra 320 Intellect (160 per gem). 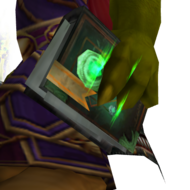 Leatherworking: Fur Lining - Intellect (bracer enchant) grants 500 intellect. Inscription: Secret Crane Wing Inscription (shoulder enchants) grants 520 Intellect and 100 Critical Strike Alchemy: Mixology grants extra 320 Intellect when using Flask of the Warm Sun. Skinning: Master of Anatomy grants 480 Critical Strike. Herbalism: Lifeblood spell grants haste that averages to 480 haste. Mining: It grants 480 stamina. Not useful for moonkins. Mainly, what you want to do is pick two non-gathering professions (unless you need the non-gathering profession to support yourself). Some people believe that Engineering and Tailoring (or Engineering and Blacksmitthing) are the best combo for moonkins. If you want my opinion, you should go with Tailoring and Enchanting. That is because with Tailoring you have the Lightweave Embroidery enchant. Also, you get to make your leg enchants for nothing but vendor mats. Also, with Enchanting you can enchant yourself for free and you have permenant enchants (on your rings). Pre-Raid Gear Head: Snowdrift Helm (Justice Points) Neck: Necklace of the Terra-Cotta Invoker (ToT Trash Farm) Shoulder: Whitepetal Shouldergarb (Justice Points) Back: Static-Collecting Cloak (Justice Points) Chest: Mistfall Robes (Justice Points) Wrist: Clever Ashyo's Armband (Justice Points) Gloves: Ogo's Elder Gloves (Justice Points) Waist: Abandoned Zandalari Moonstrap (ToT Trash Farm) Legs: Wind-Reaver Greaves (Justice Points) Feet: Deeproot Treads (ToT Trash Farm) Ring 1: Seal of the Prime (from Klaxxi quest named "Shadow of the Empire") Ring 2: Leven's Circle of Hope (Justice Points) Trinket 1: Blossom of Pure Snow (Justice Points) Trinket 2: Relic of Yu'lon (From Inscription) Main Hand: Amber Spine of Klaxxi'vess (Klaxxi vendor in Dread Wastes but you have to be exalted) and upgradable to ilvl471 with only Justice Points Off-Hand: Inscribed Red Fan (From Inscription) or Scroll of Whispered Secrets (BoE World drop) Upgrades You can use the following lists to find upgrades for your gear: http://www.mop-veins...ot-best-in-slot http://graymatterwow...of-9242012.html The the first list, gives you a listing of all possible upgrades based on ilvl. You can use that to find the upper ilvl item to go for. The second list is based on the rating and it is better. Though, it is outdated. Though, you can still use it if you are starting to gear up. Races Worgen offer +1% critical strike with Viciousness while Trolls offer increased haste with Berserking. Though, the dps increase is not that much to justify picking those races over others. Personally, I think Night Elves are the best because of the Shadowmeld spell which allows you to go out of combat. This helps you with combat bugs and with you out of combat you can pop another potion or mass ress the raid. Rotation Single Target: So, here comes the part where you need to focus on, which is your rotation. First of all, look at your Eclipse Bar the one to the top left corner of your screen, under your avatar (icon and name). Hover over it and you will see the number 0 to the middle. The sun to the right represents the Solar Eclipse while the moon represents the Lunar Eclipse. Your objective is to move your white little arrow (positioned on the eclipse bar) right and left. Wrath moves the arrow to the left towards the Lunar Eclipse while Starfire moves the arrow to the right towards the Solar Eclipse. This is how you start your rotation. You need to move your arrow near the Lunar Eclipse. So, what do you do? Like I said Wrath moves the arrow to the left towards the Lunar Eclipse. Though, we want to move the arrow without using Wrath towards the lunar eclipse just an arrow away from the eclipse. You can do that by simple casting Astral Communion. Watch the arrow as it moves. Count three arrow ticks (movements) then stop. This is how you must position your arrow before the fight one tick away from the Lunar Eclipse. After that when the tank pulls the boss, Starfall, then cast Sunfire and Moonfire and cast Wrath once. You will instantly move into the eclipse and you will see a moon above your moonkin head, showing you got into the eclipse and also the moon icon on the Eclipse bar will be lit. Now cast and continue casting Starfire while watching your Starfall on your buffs, as soon as it ends (Starfall), pop your Starfall again. Then keep casting Starfire refreshing the Sunfire and Moonfire spells as they drop on the boss. Keep casting the Starfire spell until you come out of the Lunar Eclipse, when the moon icon is no longer lit you are out of the eclipse. Now here is the tricky part. When you come out of the eclipse you simply pop your cds. Pop Hearth of the Wild, Celestial Alignment, and Incarnation: Chosen of Elune. Then cast a third Starfall and keep hitting Starfire refreshing Sunfire and Moonfire as they drop (there is a small detail in here I wont go to, so you would not get confused, not that important). Keep casting Starfire moving to the right until you hit the Lunar Eclipse the sun will be lit then you can start casting Wrath refreshing Sunfire and Moonfire as they drop. Keep casting Wrath moving to the left until you hit the Lunar Eclipse and repeat what you did. Note that you need to pop Starfalls when they are off the cooldown. Also, at this point whenever you see a buff coming online pop it. That is most of the rotation. Get used to it then come back and read the following. Now that you are familar with the rotation. I want to introduce the Starsurge spell to you. Starsurge counts as Wrath and Starfire moving the arrow towards the eclipses. Also, it is the highest damage. So, how do you use it? You simple cast Starsurge when it is not on cd. Use it as a replacement for Wrath and Starfire when its available. Meaning if you have both Wrath and Starsurge available for you, you cast Starsurge instead of Wrath. The same goes for Starfire. That is it. So, to simplify the rotation without all the fuss above: 1. Before the fight use Astral Communion to move the arrow on the eclipse bar to the left one notch away from the Lunar Eclipse (=3 arrow movements). 2. When the fight starts apply Sunfire and Moonfire. Try your best to keep them always up. If they drop you lose a lot of dps. Those are your DoTs (damage over time). 3. Pop Starfall. 4. Cast Starsurge. 5. Cast Starfire(or Starsurge if it is online) on the Lunar Eclipse. 6. Did the first Starfall buff end? Cast another Starfall. 7. Keep casting Starfire (or Starsurge if it is online) while keeping Sunfire and Moonfire up always. 8. Are you out of the Lunar Eclipse? Pop all your cds (Pop Hearth of the Wild, Celestial Alignment, Incarnation: Chosen of Elune, and trinket if available). 9. Pop a third Starfall and keep casting Starfire (or Starsurge if it is online) while keeping both Sunfire and Moonfire always. 10. When you reach the Lunar Eclipse start casting Wrath (or Starsurge if it is online). 11. Keep casting Wrath (or Starsurge if it is online) while keeping Sunfire and Moonfire on always. 12. Pop any cds or Starfalls as soon as you get them. Pop them all, do not wait. 13. If you are still casting Wrath (or Starsurge if it is online) by now you hit the Lunar Eclipse again. 14. Cast Starfire (or Starsurge if it is online) while keeping Sunfire and Moonfire up always. 15. Keep casting Starfire (or Starsurge if it is online) while keeping Sunfire and Moonfire up always. 16. Pop any cds or Starfalls as soon as you get them. Pop them all, do not wait. 17. Repeat 10-16. Note that I repeated the steps more than one time. I wanted you to understand the Eclipses circles. You are moving back and fourth and back and fourth. Popping cds as soon they become online focusing on casting Starsurge always before Starfall and Wrath because it counts as both and its better than both of them. That is your roation. Read the roation over and over and familiarize yourself with it. It will take you a while to get used to it. Lastly, do not cast Astral Communion within the fight. It is not worth it. If you still cannot understand the rotation and want to just play your moonkin and have some fun. Do not worry. I will provide you with three macros that will allow you to do decent dps without having to worry about the rotation above until you get used to it. AoE (Area of Effect): Place your mushrooms on the ground before the fight using the Wild Mushroom spell then when the fight starts Starfall then use WIld Mushroom detonate then cast and keep casting Hurricane. That is it. Macros The following macros are not mine. They belong to Chris (from wowlazymacros.com). Starfire Macro #showtooltip Starfire /cast [noform] !Moonkin Form /targetenemy [noharm] /castsequence reset=0.5 0,0,0,Starsurge /castsequence reset=0.5 0,0,Celestial Alignment /castsequence reset=0.5 0,Starfall /castsequence reset=target/4 Moonfire,Sunfire,Starfire,Starfire,Starfire,Starfire /cast Incarnation Wrath Macro #showtooltip Wrath /cast [noform] !Moonkin Form /targetenemy [noharm] /castsequence reset=0.5 0,0,0,Starsurge /castsequence reset=0.5 0,0,Celestial Alignment /castsequence reset=0.5 0,Starfall /castsequence reset=target/4 Moonfire,Sunfire,Wrath,Wrath,Wrath,Wrath /cast Incarnation CDs Macro #showtooltip Celestial Alignment /cast Celestial Alignment /cast Incarnation: Chosen of Elune /use 13 /use 14 After creating the macros put them on your actionbars then do the following. Cast Astral Communion until you see it move three notches (movements). Then wait for the fight to start. Then, hit the Wrath macro twice, you will notice that it casts Sunfire and Moonfire with the first two clicks. Now pop Starfall then hit the Wrath macro one more time it will cast Wrath and move you into the Lunar Eclipse. Now, keep hitting the Starfire macro until you come out of the Lunar Eclipse then hit the CDs macro plus Gift of the Wild then keep hitting the Starfire macro. Keep doing that until you hit the Lunar Eclipse. Then start hitting the Wrath macro until you hit the Lunar Eclipse then Starfire macro and so on. Pop your cds as soon as they come available. The Starfire and Wrath macros handle your DoTs and Starsurges for you with 80% efficiency. You will not do your maximum dps but you will pull decent dps with those macros. Just keep spamming and never stop. Addons clcEclipseBar is probably the best Eclipse Bar addon that shows the bar anywhere you want on the screen with nice settings. TellMeWhen is probably the best addon for spells/buffs/cds monitoring. You can use it to track your cds and spells. If I get enough requests, I will add a portion explaining how to configure it for your moonkin. Resources I have used the following threads as references: http://www.mmo-champ...ide-5-4-Edition http://us.battle.net...ic/9423502724#4 http://forums.elitis...-and-discussion http://wowlazymacros...kin-5-4/page/2/ Let me know if you like the guide. Took me a long time to write it. Also, do not copy the guide without providing a link to this thread. Any questions? Ask away.